Just received from a very happy member a winning tickets on the direct number 5180. He has been our member many years. 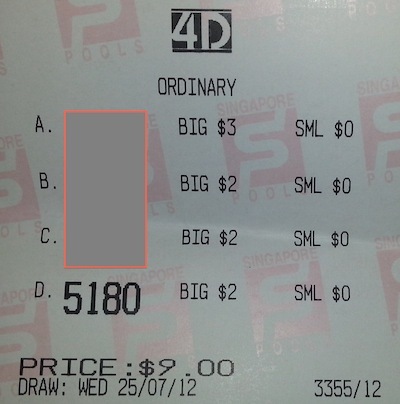 Hw won many times from the SMS 4D. His advise is play with a relax mind, stay happy every time. Be patient and you shall see wonderful result.